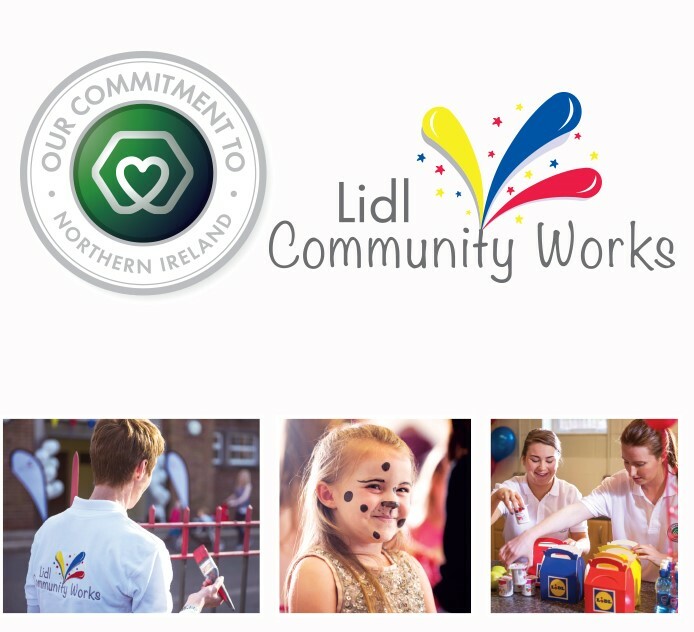 Apollo Rockets have been awarded the Lidl Community Works Funding Award. Thanks to the parents of Rockets especially Debbie Boyd. The Rockets made it through from hundreds of entries, down to the final eight in the Lurgan area. After careful consideration by the judges, the Rockets were selected to receive the “big” award of £2000. Rockets are one of only 32 groups in Northern Ireland to be awarded this money. This is fantastic news for all the leaders and volunteers who give up their time week in and week out. The money will be used to help Rockets buy team kit that they can issue to any Rocket who represents the club at events. Any money left over will go towards buying more equipment to help build the skills and competency of the kids at all levels. 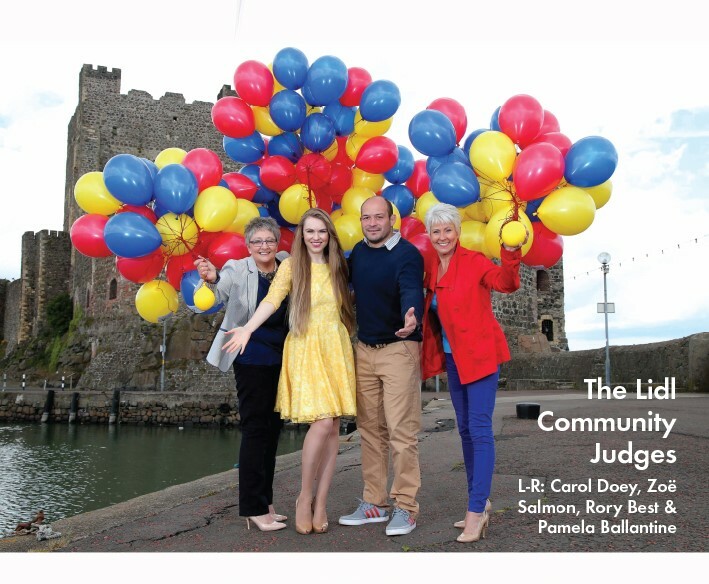 And…..if this award wasn’t enough: the Lidl top cats sent their film crew out to see where Rockets take place in Lurgan Park. They were so impressed at the scenic location of the park and the fun the Rockets have on a Saturday they have selected the Rockets to star in their upcoming TV advertisement. Needless to say there will be a few excited Rockets eager for a starring role. 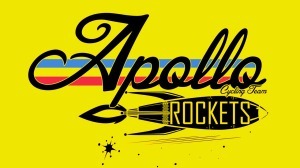 Apollo Rockets, the youth section of Apollo CT, recently attended the first of six training sessions with Colin Ross. 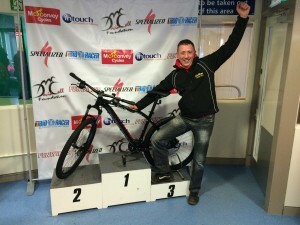 Colin is one of Irelands top mountain bike riders. 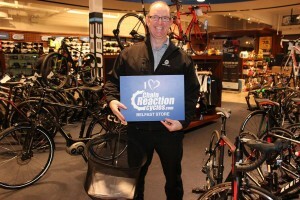 It was identified that training at Lurgan Park and Craigavon Lakes was not just enough for the Rockets. As we all know, young people today want to push the boundaries, and we could think of no better person for the job. 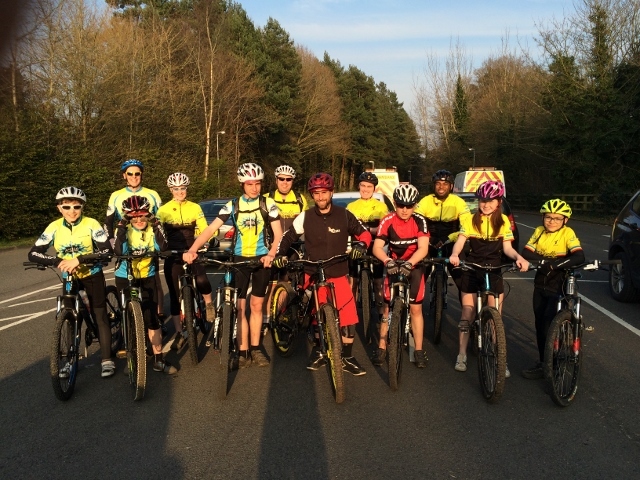 The first session was held at Barnetts Demense Trails at the Mary Peters Track. 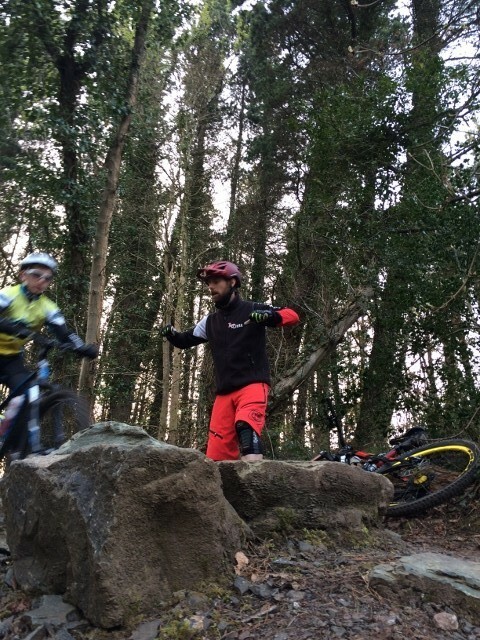 This being the place Colin taught himself at a young age to ride the natural Trails. So great was the demand we have had to split the Rockets up into two groups according to their age and ability. 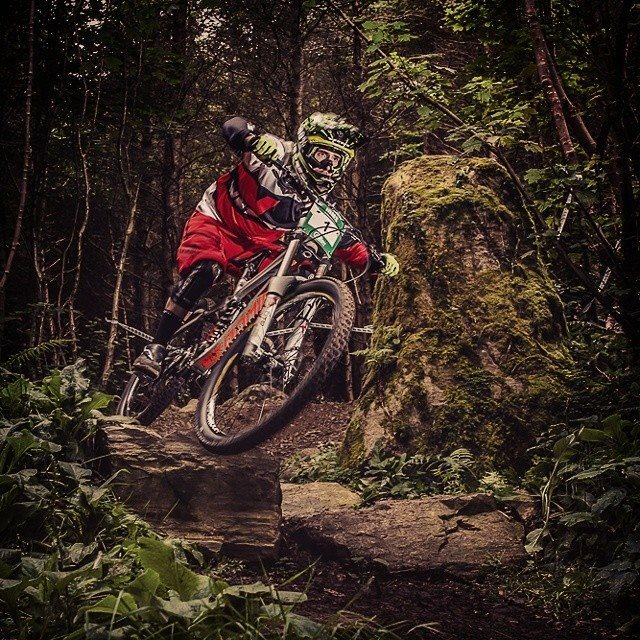 Lots of disciplines were covered, from position on the bike all the way to learning to control bike speed on very steep descents and then moving on to bunny hops over obstacles. 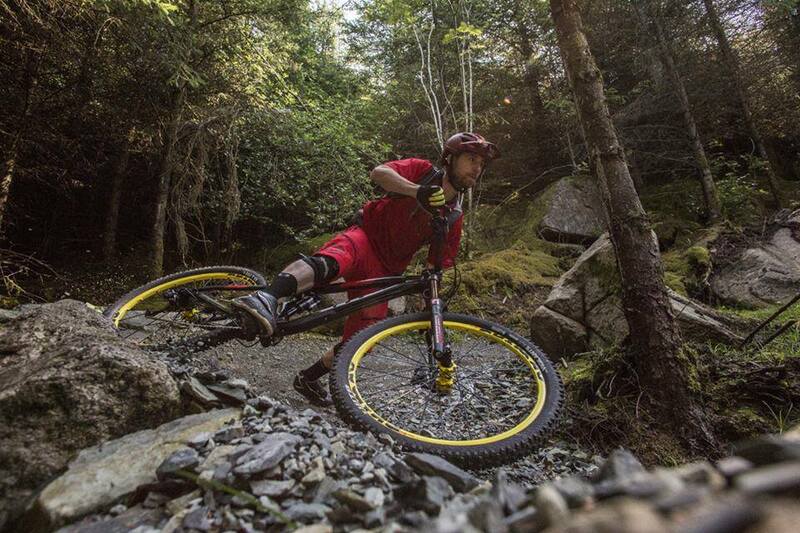 Also cornering at speed and change of direction on descents. The session lasted for two hours and everyone came away with big grins on their faces as well as a few midge bites. The next session is scheduled for the 22nd April. 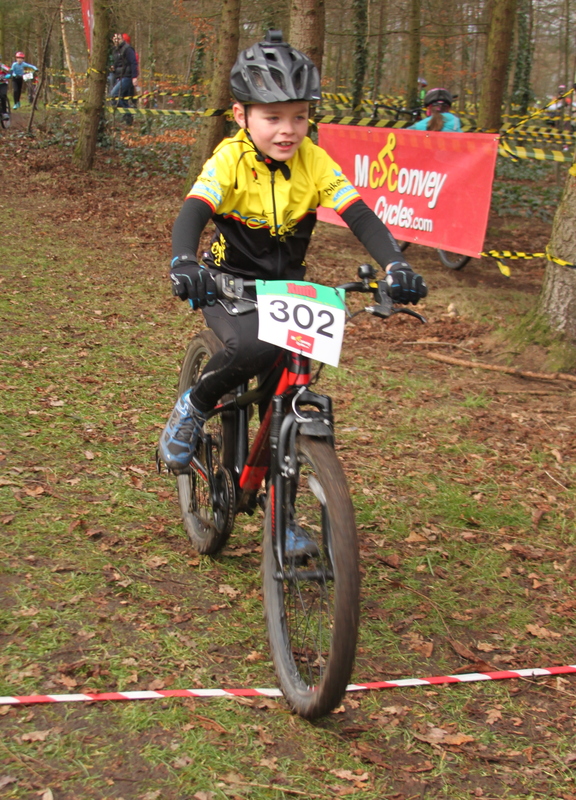 If you are interested in cycling or have a child who is interested and would like to learn more. Why not join come along to one of our beginner nights or bring your child to a Rockets Session. They are free, all we ask is your child wears a helmet. Please see the attached file for the Apollo Youth Programme. This is a really great programme for all youth riders. We are back at the lakes!! This time we will be meeting at Tannaghmore Gardens. 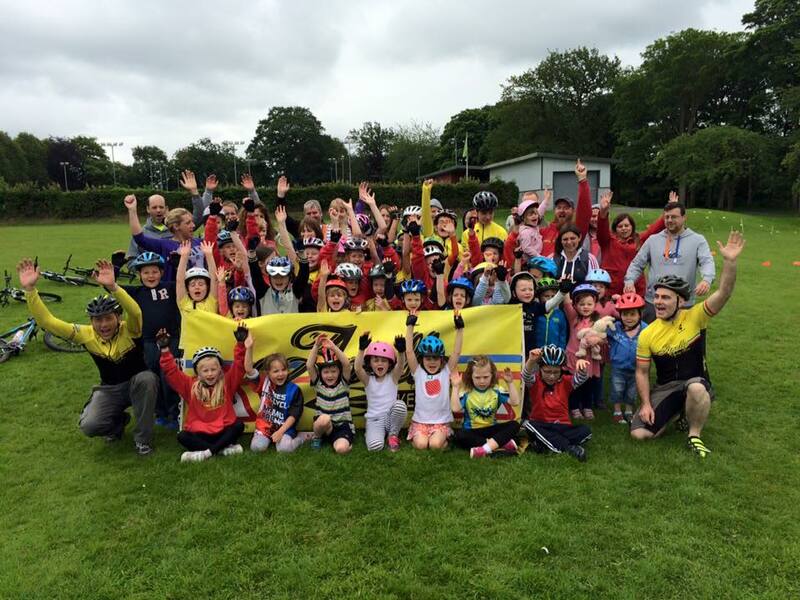 We have youth road cycling meeting at the clubrooms, and of course our usual Saturday morning at Lurgan Park. We have also two trips away. One to the tow path and the other to Castlewellan. 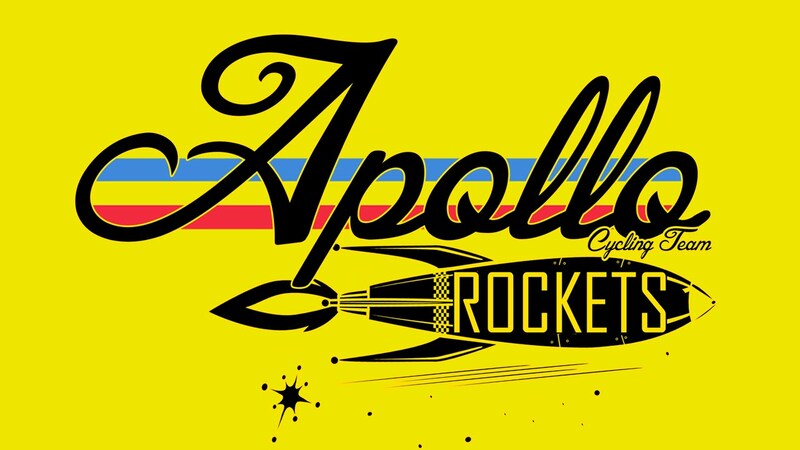 These trips are open to all Apollo members and we would love to see you at them. 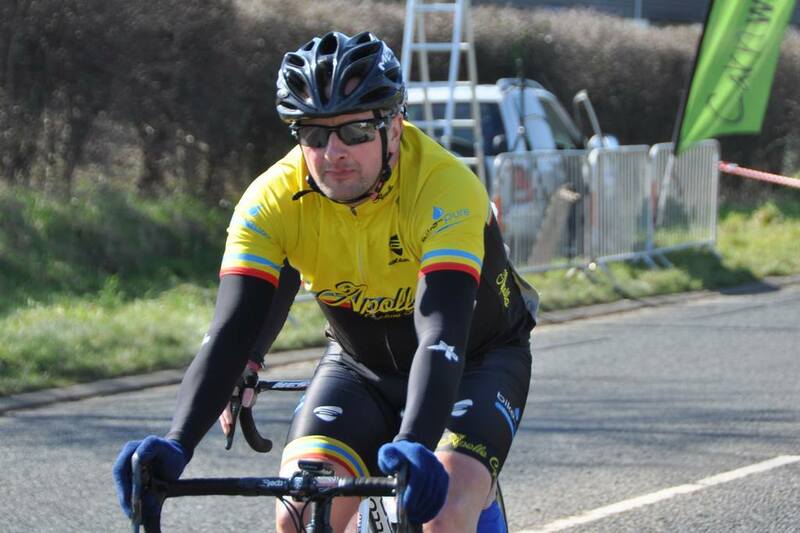 Carn Wheelers were the promoters of the Carn Classic which featured races for A1 -A3, A4 , Women and Masters.The sun came out and bathed the 14 mile circuit is glorious sunshime although there was a sharp bite from the chill wind. 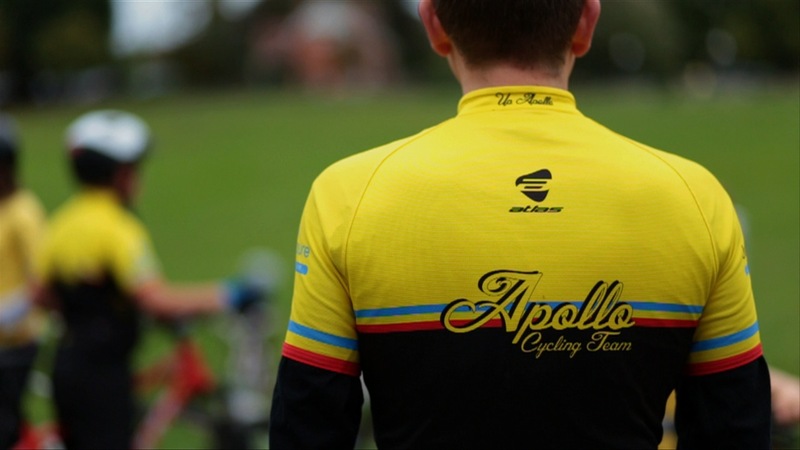 Apollo had six riders entered, they were Daniel McGlade, Dominic McCartan, Cathal Hendron, Enda McDaid, Colin McCloskey and James Wilson. First off were the A3’s who were given a small handicap over the A2’s which was soon closed down and for a while the bunch stayed together. However there was enough aggressive riding in the bunch to ensure that this did not stay together for long. A small group of three broke clear of the main field. 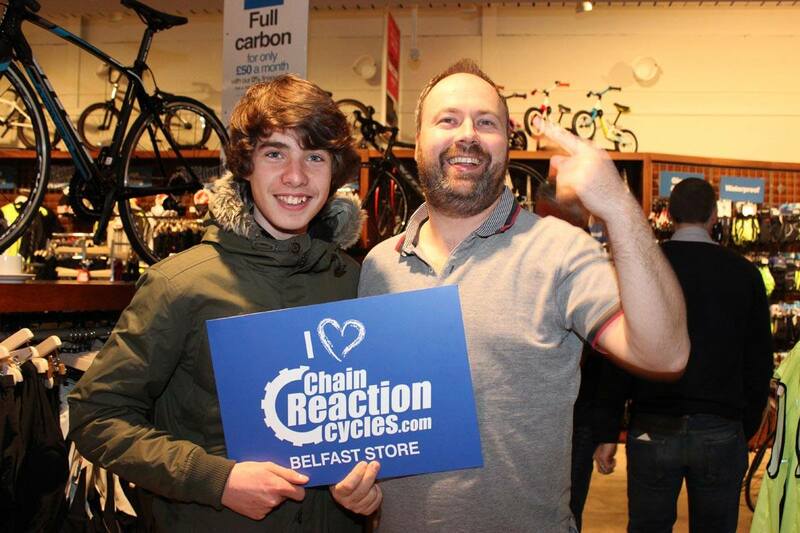 This group consisted of Darnell Moore, Matthew O’Neill of Caldwell Cycles and James Wilson of Apollo. They managed to open a 40 second gap but two groups of chasers were hot on their heels. Eventually all the chasers managed to get on, forming a lead group of nine. O’Neill lost the wheel and was sucked back into the peleton but the remaining members powered on. 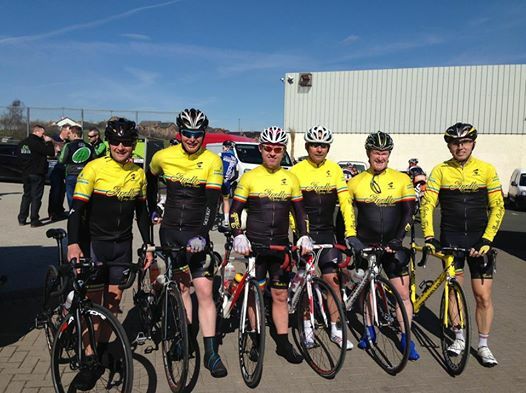 This group now consisted of Darnell Moore, (Caldwell), James Wilson (Apollo), Steven McAllister (Ballymoney CC), Barry Doyle, (U/A), Mark Millar (Velo Cafe Magasin) and Jonny Taylor, Joe McCrory and Micky Scullion of Carn Wheelers. By the 40 mile mark this group had opened a 2 minute 7 second gap on the main field. 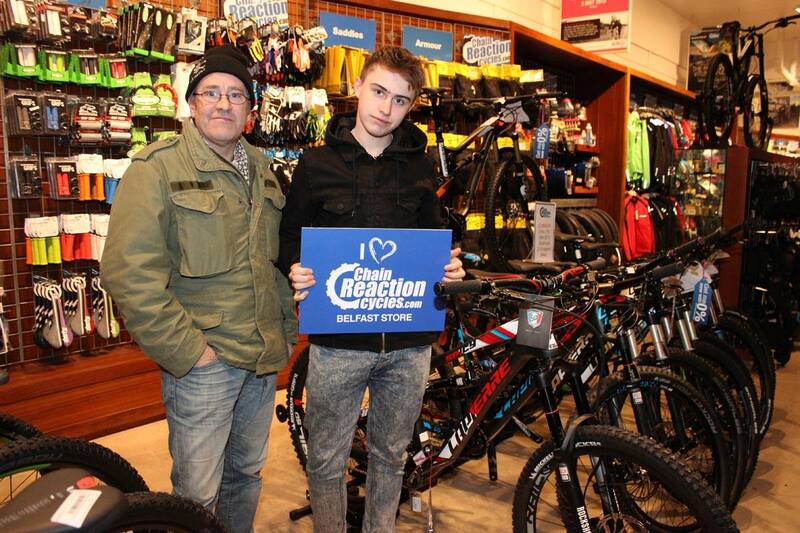 Shortly after this all was to change again when Joe McCrory bit the bullet and went for it. He steadily began to open a gap and was left to hang out for a while until the group saw this was a serious move. Both McAllister and Moore realised the danger and kicked clear to give chase. They caught McCrory and then these three managed to hold off the remaining chasers to the finish. 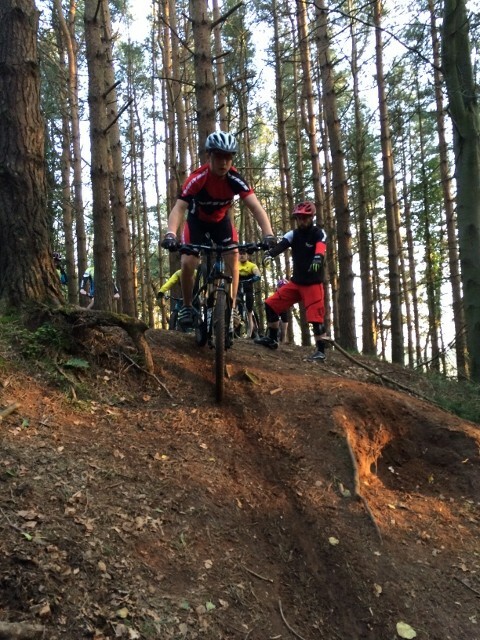 The A4 riders completed three laps of the course. As usual there was lots of movement in the bunch but at first no-one was getting away. Eventually one rider made a brave move and opened a gap on the field, He stayed out on his own for a considerable time until the bunch eventually reeled him back in. It came down to a bunch sprint in the end which was taken by Chris Lawlor of VC Glendale. 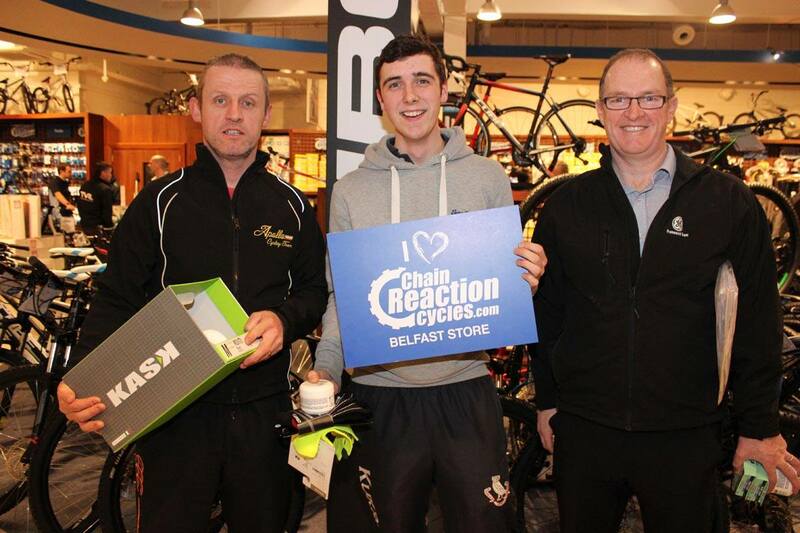 Matt McLaughlin of Phoenix CC and Darren Hutton of Bann Wheelers. 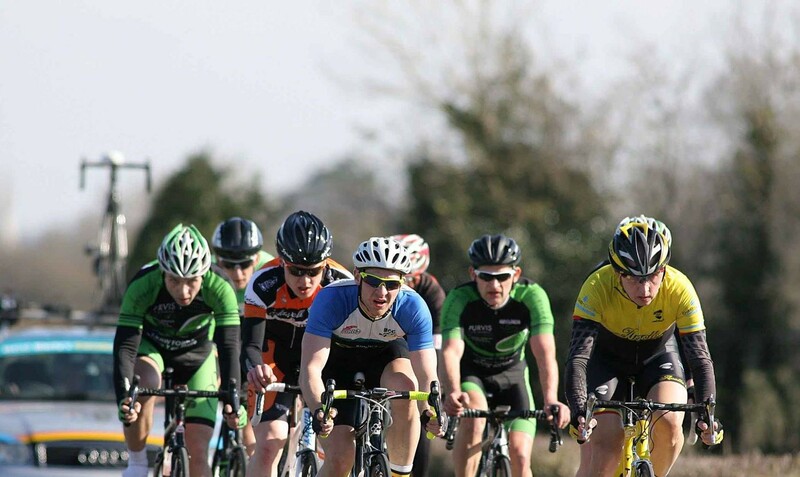 Adam Callaghan of Phoenix took fourth ahead of Daniel McGlade (Apollo CT) and William Convey of Termoneeny. Ivan Jeffers (East Tyrone CC) and Sean Scullion (Island Wheelers) took the remaining points. It was the Rockets show on Sunday 8th March at Kilbroney. On what can only be described as the most challenging course the Rockets had ever tried, they proved that all the hard work and effort put in at training had paid off. First off was the under 6, where Max Boyd came home in a fantastic 1st and a stunning ride from Jack Nelson brought him home in fith place. 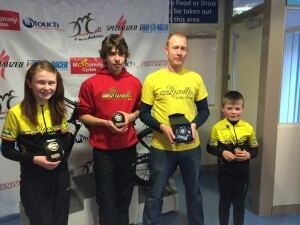 This set the trend for the next race which was the under 8, Caitlin Hanna came home in third place and in the boys race we had Jamie Boyd, Thomas Macalinden and Cathal Dorrian all placing in the top ten. In the under 10 girls we had great racing from the girls with Keela Smyth in 5th, Niamh Nelson 7th, Bronagh Dorrian 8th and Erin Hanna 10th. 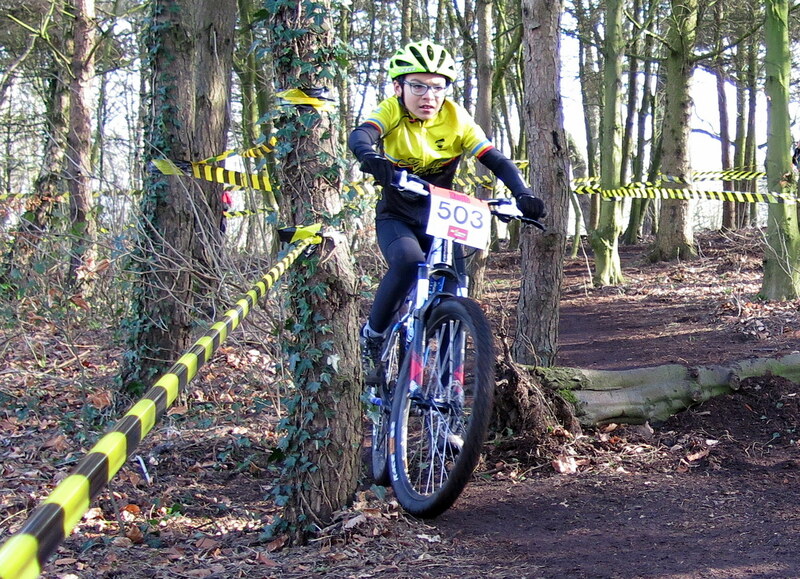 Under 12 girl Lauren Hanna was pipped to the top spot by only 3 seconds to take second place. Such was the pace of the top two, they managed to lap the rest of the field. 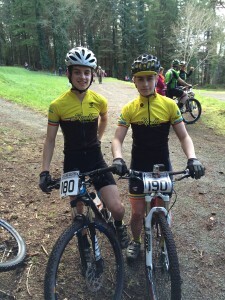 Under 12 boys had Joel Bingham 8th and Finlay Murdoch 1oth. Under 16 boys raced on the main circuit which was incredibly technical from start to finish, both Ethan and Teo battled hard and finished 6th and 8th respectively. 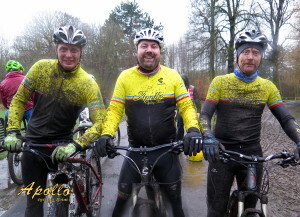 Finally we had the mens race. 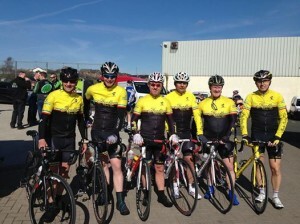 With Robbie Smyth, Gavin Hanna, Neil Irvine and Michael Nelson taking part in the Senior 4 Category. Tony McConville was in his new Team Vitus strip in Senior 3. 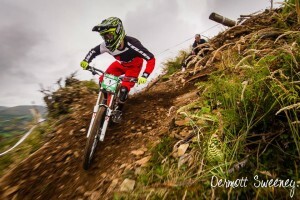 Neil Irvine had a mechanical which left him only completing one lap and Michael Nelson in true sportsman tradition DQ himself after realising that he had missed a section of the course. 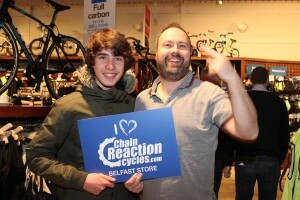 Gavin finished 12th and Robbie 19th and in Senior 3 Tony McConville came home in 10th. Overall it was a good day for Apollo and everyone agreed that it was probably the toughest course they had raced so far. Rockets continue this Saturday at Lurgan Park 10am and soon we will be starting back to Craigavon Lakes for adults, youth and rockets. Apollo Rockets and Apollo Seniors took home a total of four podium prizes in the three race mountain bike series held in Ormeau Park recently. In what can only be described as a ‘mud fest’ all riders, from under 6 up to senior, experienced some very tough conditions under their wheels. Tyre pressures were checked and double checked to gain as much traction as possible. 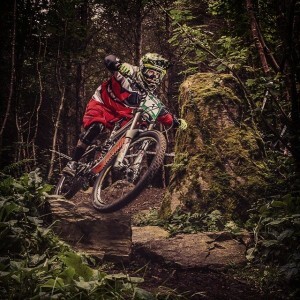 Apollo had no fewer than 31 riders taking part over the 3 week series, with Peter Graham and Dylan Lyness making their debut into mountain bike racing. The highlight for the seniors was Michael Nelson taking his first ever win in week three and claiming the overall senior ‘B’ title. There was a large crowd of supporters to cheer him home to the finish. 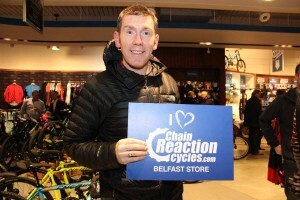 Neil Ervine was 7th and Gavin Hanna 9th. Senior ‘A’ had Tony McConville in 12th place. In the junior categories it was close racing between them all, but overall the team spirit and taking part was the main aim of the event. In the under 16 boys, Jack Murdoch secured third overall with Teo Davidson and Oran McIntyre finishing 5th and 6th respectively. The Under 12 Boys had Joel Bingham in 8th. 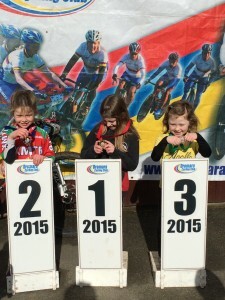 Under 12 Girls had a podium with Lauren Hanna finishing 2nd Overall. 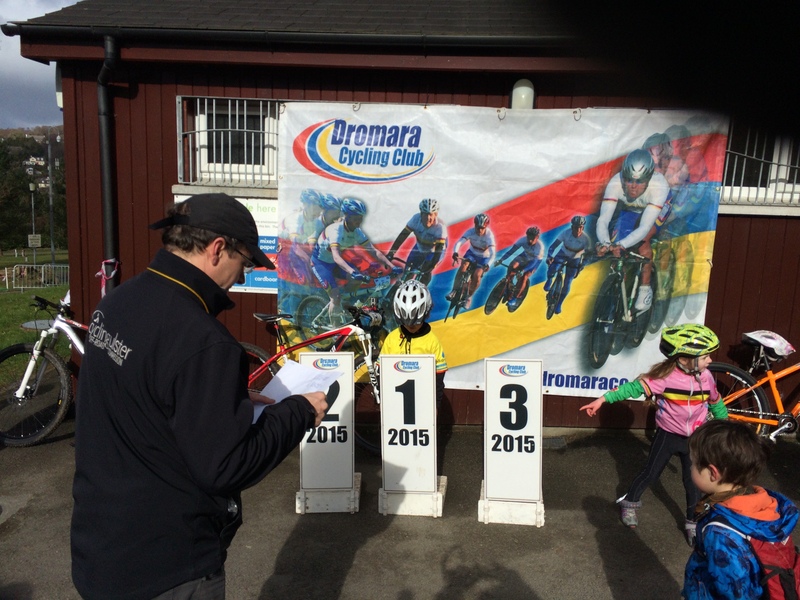 Under 10 Girls was the tightest racing of the series and Keela Smyth finished 4th, Niamh Nelson 5th, Erin Hanna 6th and Bronagh Dorrian 8th. 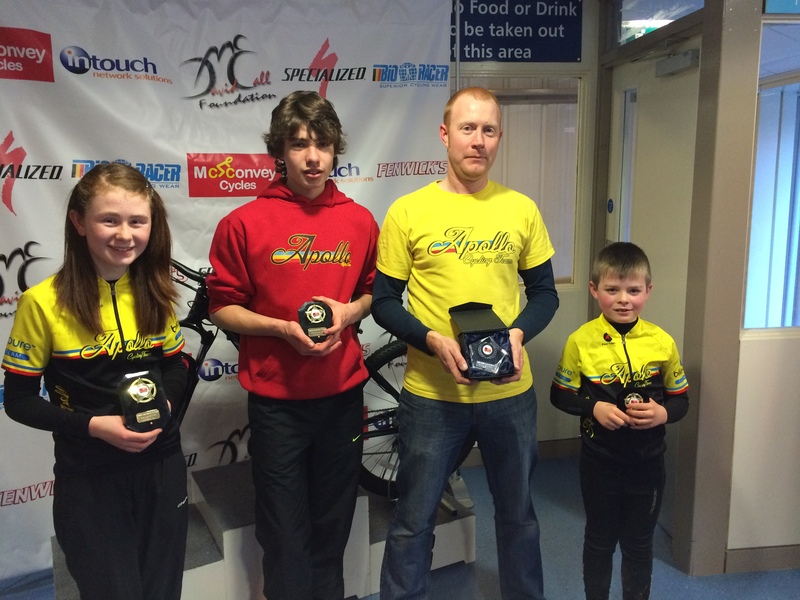 In the Under 10 boys we had another podium with Thomas Macalinden 3rd, Jamie Boyd 4th and Cathal Dorrian 10th. Under 8 girls had Caitlin Hanna 5th, Aisling Smyth 8th and Chole Mccartan 11th. Last but not least we had Max Boyd and Jack Nelson in the Under 6. After the prize giving on the last Sunday there was a raffle and our own Robbie Smyth won the top prize of a brand new mountain bike. Its fair to say everyone had a great event and the sales in washing powder in the local area definitely increased to get all the mud out. Photos courtesy of Toby Watson. Be sure to head over to Fleet Maintenances’ FaceBook page and say hi and thank them from us. Error: Error validating access token: Session has expired on Saturday, 09-Feb-19 01:43:10 PST. The current time is Saturday, 20-Apr-19 03:14:40 PDT.